Bismillahi r-Rahmani r-Rahim, An inspiration came to my heart about the loss (passing away) of the Crown Prince. (Prince Nayef bin Abdul Aziz Al Saud) May Allah’s (swt) Mercy be on him. A few words came to my heart and I would like to share & speak about what has been inspired to my heart concerning the Crown Prince. We say, Audhu Billahi min al shaytan al rajim, Bismillahi r- Rahmani r-Rahim. Allahu Akbar Al Akbar! Subhana Allah! The news was given last night about the passing away of the Crown Prince of the House of Saud and for this reason what was inspired to my heart, I would like to share it with the Muslims, the believers and all the people. And all of us are servants of our Lord (jwa) Subhanahu wa Taala. Allahu Akbar Al Akbar! Allahu Akbar Al Akbar! Allahu Akbar Al Akbar! The news spread rapidly about the passing away of the Crown Prince of the House of Saud. And what has been inspired to my heart is that he was, Subhana Allah! Among the House of Saud he was a bright star. There was no one like him. Subhana Allah! This is the inspiration that came to the heart of a weak servant. May Allah (swt) have Mercy on his soul & on us. We are living in the blessed months. The first one is Rajab, “the month of Allah & Shaaban is my (sas) month, and Ramadan is the month of my nation.” Subhana Allah, the greatest of months. Rajab, the month of Rajab, because it is Rajabul Fard/Unique, and therefore it said that Rajab is the month of Allah (swt). It is not equal to any other month. It is called the month of Allah (swt). Not Ramadan, nor Shaaban, nor any of the other months. This month is a glorified & exalted month. It’s honour can’t be quantified by any measurement. Shaban is my (sas) month. Rajabun Ajaibun! Allahu Akbar Al Akbar! Allahu Akbar Al Akbar! Subhanahu wa Taala. The news has spread immediately about the passing away of the Crown Prince of the House of Saud. They said, & I heard, that he was a shining star among the House of Saud. There was no one like him. This is how they describe him. He was a great person among the House of Saud. He is praised. “And who dies in a foreign country is considered Shahid/martyr”. Then he…Subhana Allah, died in a foreign country & therefore is considered Shahid/martyr, on the blessed night of Laylatul Miraj. No one of the Saudi family has reached this station. Masha’Allah to him. He was peaceful & calm, his personality was soft. He never harmed anyone, that praising is from Heavens. Haqq (swt) says “Kullu Nafsin Dha’iqatu Al-Mawti Thumma Ilayna Turja`una”(29:57) “Everyone must taste death then onto Us you shall return” (29:57) His soul was taken on Laylatul Mi’raj. This is a special thing was granted to him. Among the House of Saud, not one Prince nor a King, nor a Sultan has ever reached this level. This praising no one has reached it in Laylatul Miraj. Subhana Allah! O people, O believers, Allah (jwa) says “everyone must taste death then onto Us you shall return” (29:57) And he is different. Every one of the Kings requested to be buried in their own countries, their city is Riyadh, except for him. He requested to be prayed on in the Haram of Makka Al Mukarrama. And that he may be buried in Makka Al Mukarrama. No one has reached this level. He has never harmed anyone nor has anyone ever complained against him. But he was limited…there was no power left in his hands. If his life was longer he would have given the Kingdom to the rightful owners from the Ahlul Bayt of the Prophet (saws). He had the intention. In Laylatul Miraj, the night before yesterday Awliya’ Allah (swt) were informed about what he was thinking: to give the Kingdom (of Saudi Arabia) to its rightful owners. Like the believers must give the amanat to its owners, Makka Mukarrama & Madina Al Munawwara are with the House of Saud now as a trust. He is the one who was inspired in his heart to give the kingdom back to its rightful owners as it was shown to him from Heavenly Orders. That Crown Prince was a lover of Truth & his love for Haqq/Truth was so as to give amanat/entrusted land back to its people. He was hiding this matter about giving everything back to its owners, but this was on his mind. And in Laylatul Miraj the angels came down and took his soul so that his will be done, to pray Salat Al Janaza in Haram of Makka Al Mukarrama. He was a great man, this was his intention. He was taken and people cried for him, they cried for him. He has been buried this night in Makka Al Mukarrama. Yes! O House of Saud, Allah (swt) is witness & His Prophet (saws) is witness to what the House of Saud has done. Whether they accept or not Allah (swt) will ask them about this. His intention was clear & it was to give back the land to its owners. This was kept in his heart, Subhana Allah! Allahu Akbar Al Akbar! O Kings & leaders & Princes, Haqq (swt) says “Kullu Nafsin Dha’iqatu Al-Mawti Thumma Ilayna turja`una”(29:57) “Everyone of you will taste death & onto Me you shall return.” (29:57) If they accept, the Lord of Bounty, the Lord of Heavens & Earths accepts only this servant from the House of Saud, who is prayed upon in the Haram of Makka & buried in Haram Al Sharif (Makka). Allah (jwa) says astaizzu Billah“Wa Ma Khalaqtu Al-Jinna Wa Al-‘Insa Illa Liya`buduni“(51:56) I don’t need from them provision or anything, except that they serve Me. I am a weak servant & my Arabic is weak as if I am illiterate, but in the middle of the night some inspirations came to my heart concerning him… He is pointing to me with his head like this. They dressed him with Divine Light, not like any other King was dressed. Allah (swt) blessed him that he may be prayed on in the Haram of Makka and that he may be buried in Makka Al Mukarrama. Yes, O Kings “Kullu Nafsin Dha’iqatu Al-Mawti“(29:57) death is written for everyone…And for each one of us, surely death will come to us. O Kings, Haqq (swt) says “And I created not the jinns & humans except they should worship Me”(51:56) And Haqq (swt) says “Liyabluwakum Ayyukum Ahsanu Amalan…” (67:2) O Kings, what deeds are you doing? Allah (swt) looks to what you do & says “He may test which of you is best in deeds.” (67:2) This is not my thinking, but my certainty, that Al Haqq (swt) wants what is rightly due to be returned to its owners. And from amongst the House of Saud, he had the intention to give back the Kingdom to its rightful owners, to the Ahlul Bayt of the Prophet (saws). “Liyabluwakum Ayyukum Ahsanu `Amalan…” (67:2) O people what are you doing? What do you do? They keep treasures like Qarun and it has no benefit for them. What benefits them is to spend! Spend, “give without saying no & don’t fear that your wealth will decrease.” O Kings what are you doing? The Beloved of Allah (sas) said: Spend O Bilal, and don’t fear from the Lord of the Throne any decrease! This believer in one God, and loving to the Ahlul Bayt of the Prophet (saws), his intention was to give away all his treasures. He was prevented, but it reached! What he intended to do, reached God! Masha Allah. O Kings take a lesson from this servant who had a good intention. Spend! And don’t fear from the Lord of the Throne any decrease. He wanted to obey the verse that says “Liyabluwakum Ayyukum Ahsanu `Amalan…” (67:2) May God have Mercy on his soul. The people of Truth have no other king from the late kings of Aal Saud to praise and recommend except Prince Nayef! He took their praise, good for him! O Sons of Saud, may God give you good rewards if you obey like him! Today in this world. Tomorrow in the afterlife. O people, all Muslims in all Muslim countries, observe this lesson: Allah rewards his weak servant with the best reward, the best reward. We have treasures, of this world we don’t need the rewards of the House of Saud or any other people! No! Dunya, for the good servants of Allah (swt), is under their feet! I was told today to remind all people about the late Prince Nayef. Nayef, his face was shown to us. Nobody saw what we saw. The Saints of Makka Al Mukarrama showed us. No one else amongst Aal Saud was granted that except him. Allah (swt) blessed this servant. He had a good intention to give people their rights May God reward him with goodness, and may God reward you Sons of Saud. Wait and obey God’s orders! Be servants for Allah! Be rulers of yourselves. Be steadfast on the right way. Be the best of people! As Allah (jwa) honoured you to test your deeds, to test your deeds and who does goodness amongst you. Do you understand Arabic? Mine is weak O Kings! And I have no request from you. I reached the age of exemption SN. :Those exempted by Allah (swt) the most merciful. Who are those exempted by Allah the most merciful must be of their age. I don’t want from you anything except assuming goodness in us, and the people. Assume goodness in people. Be generous to people, If you are generous, it is for your own selves. If you are not generous, you keep God’s Generosity away from yourselves too. O Shaykhs of Egypt, Shaykhs of Sham, Shaykhs of Baghdad, East, and West, keep and think about these words, they don’t come from books that we have, but these are inspirations, and he is happy & he blinked at me during his Janaza Prayer, like this. I don’t want from you rewards or thanks. If I was preparing something to speak to the Muslim people…But I was strongly inspired and it forced me, from the Master of Prophets (saws), Master of beginning & end, Rasullah(sas). Ask them, he says, the Prophet (saws) of the end of times, “My Lord prays upon me, and they prevent prayers made upon me! And I am his opponent,on the Day of Judgement, O kings of Saud! Astaghfirullah, I repent to Allah (swt). I have declared, I declared & Allah (swt) is witnessing and the Prophet (saws) is witnessing and the angels are witnessing, I am a weak servant, two words & I get tired. And my Arabic is also little. I don’t condole those who suggested that I remind the nation of the Prophet (saws) all of them. Those who took this advice, good for them. Those who neglected this advice, woe to them here, and hereafter. Tawba Ya Rabbi Tawba Astaghfirullah, Tawba Ya Rabbi Tawba Ya Rabbi, Tawba Astaghfirullah. Give Your beloved, the Master of beginning and end, light and happiness, and make him content here and in the Hereafter amongst all worlds, O Lord of the Great Throne. He knows what happens upon the Throne of the All Merciful. O House of Saud! Appreciate your Prophet (saws)! A very significant statement, and intention indeed. I say this because Makka and Medina are the heart of the Muslim world, and Islam. The House of Saud required the proliferation of Wahabism, due to their historic agreement with the Ikhwaan (pioneer Wahabis), to establish their legitimacy as the Custodians of the Haramayn. Wahabism has effected in a negative way the entire Muslim world, especially the main areas of conflict, namely Pakistan and Palestine. Wahabism gave birth to Deobandism, and the Taliban are the spiritual children of the Deobandi-Wahabi ideological alliance. Al Qaeda has Wahabist/Salafist roots as well. Ikhwan ul-Muslimeem of Egypt came under Wahabi ideological influence as well. On the other side, if we look towards the previous rulers of Makka and Medina, the Bani Hashim, under the leadership of the descendants of the Prophet Muhammad (S)’s family through Shareef Hussein, ancestor of the Jordanian Royals, this ideological extremism problem did not exist. Even if we put their style of rule aside, and not get into why its not perfect, the interpretation of Islam followed by the Jordanian Royals has more of a historic legitimacy, and is inclusive, not exclusive. King Abdullah’s Aman Declaration initiative demonstrates this. 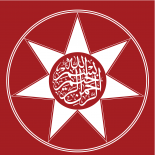 The Jordanian monarchy, due to its descent from the family of the Prophet (S) is the unifying force and pillar of the Arab world, as the revolts against the Ottomans demonstrated, enjoys legitimacy with Sufis, Sunnis, Shiites, etc., and does not require the proliferation of an exclusive doctrine (Wahabism and Takfiri doctrine) to enjoy this legitimacy. Look what happened to the Muslim world’s only nuclear power Pakistan after the Wahabis took religious monopoly since the era of General Zia, and compare it to the era of the first Bhutto. Even the culture of Palestinians, where the Husayni family dominated the talks with the Israelis, has significantly been changed due to a Wahabi evolution/change religious doctrines, and now is dominated by Hamas (Rage). According to Shaykh Nazim, Sufi Saints believe HRH Prince Nayef realized this, and the damage caused, not to mention the cultural genocide in Makka and Medina of historic sites linked to the Hashemites and their legitimacy in this struggle for political legitimacy, and wanted to go back to the old way to solve what has gone wrong. For the Saudi’s going back to historical boundaries is not an issue, as their endorsement of the proposal for peace in Palestine by returning back to the 1964 borders demonstrates. Shaykh Nazim praised this foresight in the late Crown Prince. This entry was posted on June 20, 2012 by ASFC in Uncategorized and tagged Crown Prince, Death, House of Saud, HRH Prince Nayef ibn Abdul Aziz Aal Saud, Kingdom of Saudi Arabia, shaykh nazim.